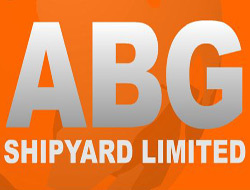 ABG Shipyard has raised the offer price for Great Offshore to Rs 520 per share, intensifying the acquisition race between ABG and Bharti shipyards for the stakes in Great Offshore. The company, through a series of bulk share purchase at BSE and NSE, brought 1.5 lakh shares of the company that account for 0.4 per cent of Great Offshore. ABG now holds around 8.3 per cent stocks in Great Offshore, as compared to 2.02 per cent stakes in the firm. Mr Dhannajay Datar, CFO, ABG Shipyard said: "From Day One we have made it clear we want to take management control of Great Offshore. But I cannot comment what our strategy is going forward." Bharti Shipyard offered Rs 405 a share on July 6; while ABG has increased its latest offer about 28 per cent at Rs 520 a share, in a bid to beat the rival. ABG and Bharati are eying big contracts amid hopes of increase in deep-water exploration activities. Mr Kapil Yadav, Research Analyst with Dolat Capital said: "The valuations have certainly got expensive. Bharati Shipyard does not have much of a choice; it has significant order book exposure to Great Offshore, which will compel it to go for revising the price further." Shares of Great Offshore and Bharti declined 0.67 per cent and 2.19 per cent on the BSE on Tuesday.